With over 2 billion monthly active users, Facebook has become a staple of marketing in the modern era. Pretty much every small business owner has a Facebook page (even if they don’t have a website!) and over the years many have counted on it to be the most cost-effective way to reach potential customers. Especially with Facebook Advertising. But Facebook giveth and Facebook taketh away. After a series of algorithm adjustments that changed what appears in users’ feeds, business owners are seeing their organic social media posts reach fewer and fewer people. As a result, many are crossing into uncharted territory to better reach customers and leads: paid posts using Facebook Ads. If you’ve ever been tempted by that “boost post” button, stop right there! 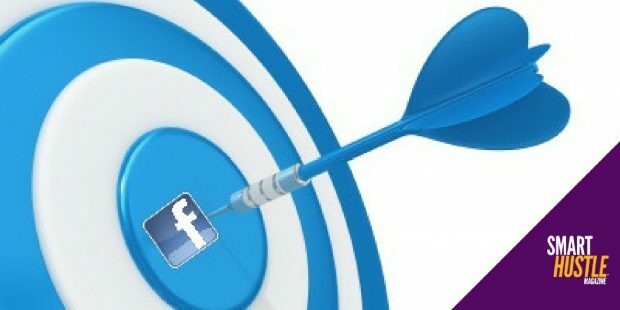 Before you dig into Facebook advertising, you’ll want to have a solid strategy. For advice on this topic, I spoke to an expert in digital marketing at the ICON17 conference – Kasim Aslam, the CEO and founder of Solutions 8. We’ve recapped some of his advice below, but if you really want to be smart about your ad dollars, you’ll want to click Play to get the full discussion. The first level starts before you even post your first ad, and it’s all about setting realistic expectations. “If you’re not ready to fail, you’re going to fail,” says Kasim. Facebook advertising is different. It’s not just that you prepare an ad, people see it, then they buy from you. Instead, you must focus on the long funnel and be willing to adjust constantly. “When you find failure, get excited about it. It means you’re one step closer to success. When you do create your first ad, focus on creating compelling content that is applicable to your audience and will catch their attention. Start by promoting a particular page on your website or blog. If you create copy that drives eyes to a page, then you can continue to expand on that message in Level 2. In Level 1, you are focused on simply providing value for potential customers. Once you discover what they want (and how to reach them with your ad copy), you can create a lead magnet – some sort of download that provides value and earns trust, so people are willing to give you their email address. Once you have contact information, you can nurture these leads through follow-up emails, providing even more value and eventually making a sale. Remember to click Play above, as all of these topics are discussed at length. Facebook advertising may be something new for your small business, but this valuable information will get you off on the right foot.